Are you planning a Hawaiian-style wedding or a wedding in Hawaii? If so, we have some flower ideas that you might like. 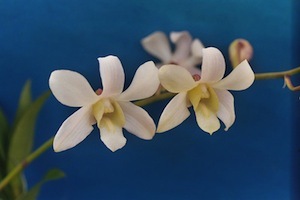 There are quite a few Hawaiian flowers that look lovely in a bouquet, corsage, or flower arrangement. These tropical blooms are perfect for casual or upscale weddings, weddings with most every color scheme, and weddings of almost any budget. 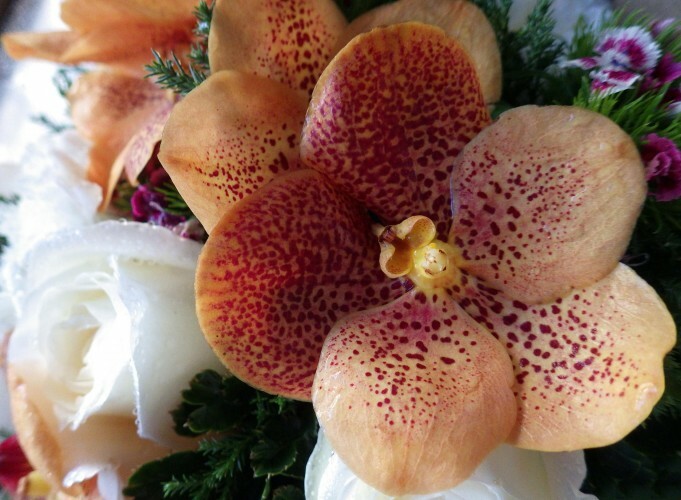 Set an orchid spray as a centerpiece on every table at a classy, contemporary Hawaiian wedding. While not flowers, ti leaves are plants that look beautiful when placed underneath table settings at a Hawaiian wedding. Scatter loose orchid blossoms over the guests’ tables, the bridal party table, and even the buffet table at your Hawaiian wedding. Offer a lei of orchids or plumeria to every guest who enters your wedding ceremony or wedding reception (and, of course, wear one yourself). If you’re getting married near a pool, float carnations, tuberose, or pikake on the water. For the bride, create a stunning bridal bouquet with orchids, bird of paradise, anthurium, amaryllis Barbados lily, and coffee. These are just a few beautiful Hawaiian flowers that can make your Hawaiian wedding a stunning and delightful affair. In addition to placing them on tables, in your hands, and in swimming pools, you can bring Hawaiian flowers into your special event by using them as headbands, boutonnieres, and hanging flowers.